Welcome to CHPS: Growing and Learning Together. Croydon Hills Primary School (CHPS) is a dynamic learning community nestled in a supportive community. Set in extensive, attractive grounds with modern, well-designed buildings and access to local community facilities, the school is a source of pride to the whole community. Its development and maintenance, together with the provision of equipment and materials, reflects co-operation and teamwork between parents and staff. 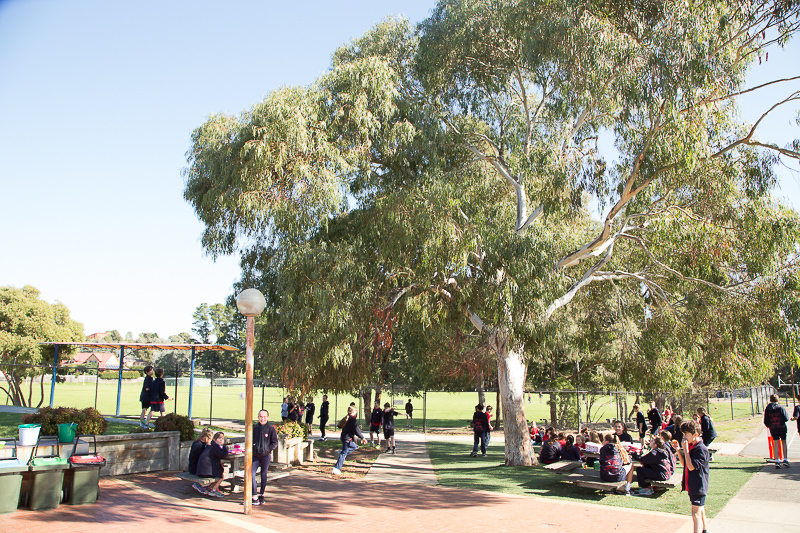 The school was established in 1988 and has a current enrolment of just over 700 students. Our school places great emphasis on the provision of a friendly, safe, caring and supportive environment for students, staff and parents. Broad programs provide a stimulating and meaningful learning experience in which all children can learn together and experience success. The community views education as a shared responsibility and the co-operative partnership between the school and home is a highly valued feature of the school. We have recently undergone a facilities upgrade which has seen additional learning speces and improvements to access and outdoor sporting/playing areas.We have a Stadium Complex which boasts a full size Sports Court, Multi Purpose Room and Kitchen. This year has seen an all-weather covering and synthetic turf upgrade for our outdoor basketball courts and significant improvements to ramps and pathways, providing better and safer access for students with special needs. We have a dedicated Early Learning Centre for our Prep students, which incorporates a separate play area All our teams are grouped together and share common open space between their separate classrooms to collaborate and share. Our students enjoy an outstanding Performing Arts Centre, as well as functional, high-quality learning spaces for Art, Science and LOTE. We are justifiably proud of our outstanding facilities to support the learning of our students. Croydon Hills has a rich history as a curriculum leader and innovator and this tradition continues today. Our Core Purpose is to provide flexible programs that accommodate a variety of learning and teaching strategies. It is also to support our students in gaining a range of lifeskills such as resilience, optimism, self esteem, problem solving, flexibility and social justice. Our staff are diligent and motivated to learn and grow, providing our students a model of “Life Long Learning”. We have a long term strategy to help develop students with a global perspective and intercultural understanding regarding themselves and Australia’s place in Asia. As a result, we have a number of Sister School relationships with schools in Asian countries. Croydon Hills provides a comprehensive, integrated curriculum with sequential programs following the Victorian Curriculum. Specialist programs, led by talented and dedicated specialist staff include Visual Arts, Performing Arts, Physical Education, eLearning, Library/Information, Digital Technology and Languages Other Than English (Indonesian). We are very proud of our school and its achievements, a pride we hope you will share by becoming part of our school community.